As explained in an older post, one popular method of securing data at rest is by using encrypted file systems. Today, we're going to introduce you to another method known as PGP encryption. Although encrypted file systems provide a decent level of protection for your data, they have certain limitations. In this video, we'll show you how to automatically encrypt files uploaded to JSCAPE MFT Server. Despite FTP's vulnerabilities, many Windows users still use FTP clients for transferring files over the Internet. If you really have to keep using that archaic file transfer protocol, at least do it securely. Here's what we suggest. 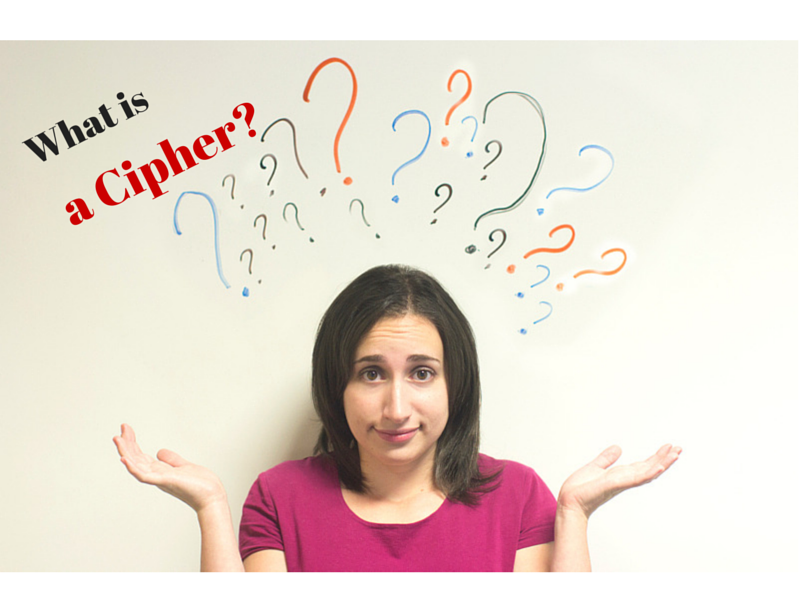 The strength of an encryption largely depends on two components: 1) the cipher and 2) the length of the key. We already discussed key lengths in an older post. So today, let's talk about the other component. Secure file transfer protocols generally employ a combination of symmetric and asymmetric encryption to preserve the confidentiality of data while in transit. So why the need for two kinds of encryption? 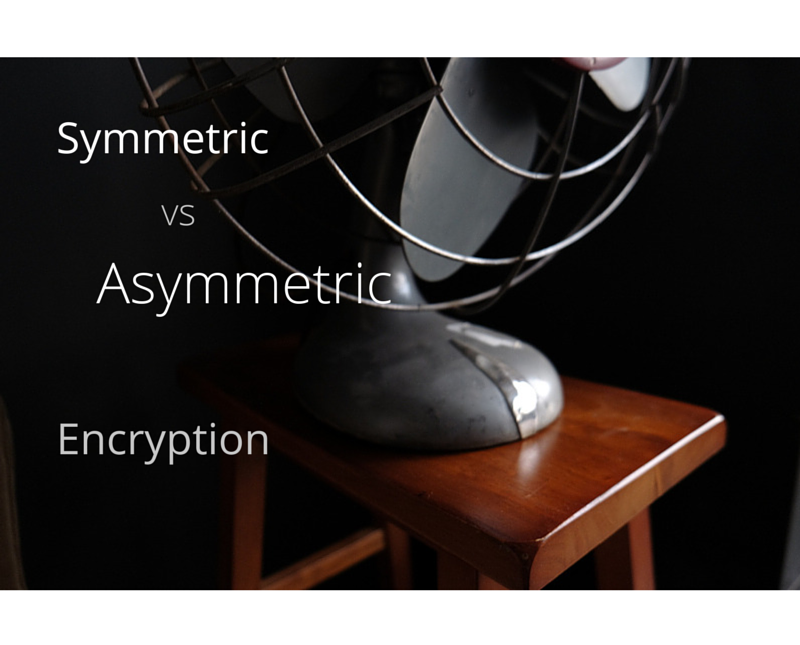 In this post, we take a closer look at the main functions of symmetric and asymmetric encryption, their strengths, their weaknesses, and why we'd prefer having both. PGP encryption can add another layer of protection to a trading partner file transfer already secured by FTPS. 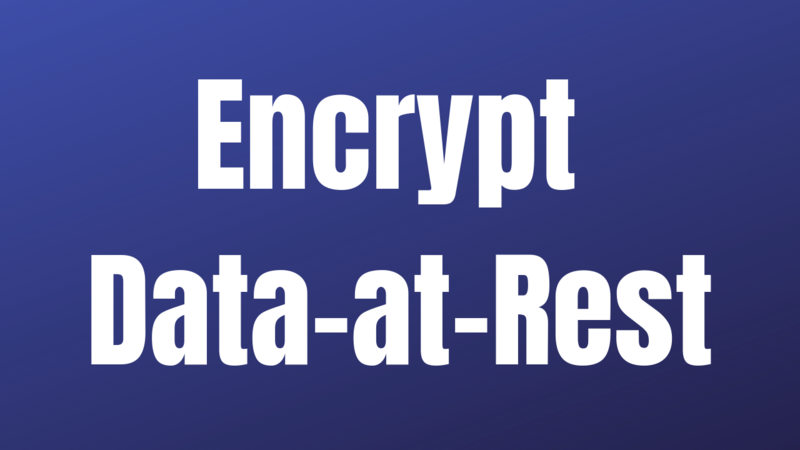 It can also provide data-at-rest encryption as soon as the file arrives at the other end. 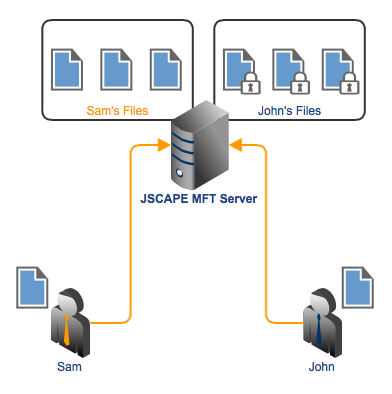 In this post, we'll show you how to set up a fully automated file transfer secured by OpenPGP and FTPS using JSCAPE MFT Server triggers. Some company activities - such as product development or eDiscovery - require a high level of security. The people involved in these activities have to make sure the information they share with one another are kept confidential at all times. 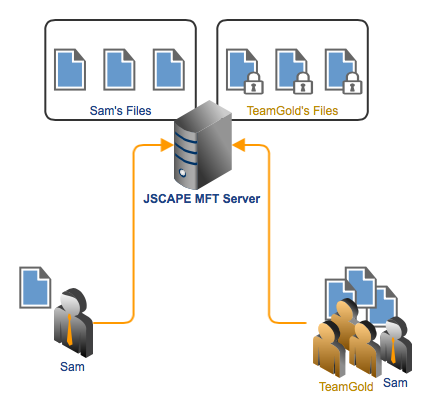 In JSCAPE MFT Server, it's possible to secure a group folder in such a way that all files uploaded to that folder are automatically encrypted with OpenPGP. In this post, we'll show you how to do that. Some guys in your organization may have to handle lots of sensitive information. Because there's always a good chance their files are going to contain confidential data, it would be best to ensure that every single file they upload to your server get utmost protection. On JSCAPE MFT Server, you can do that by applying OpenPGP encryption on all virtual paths owned by that user. 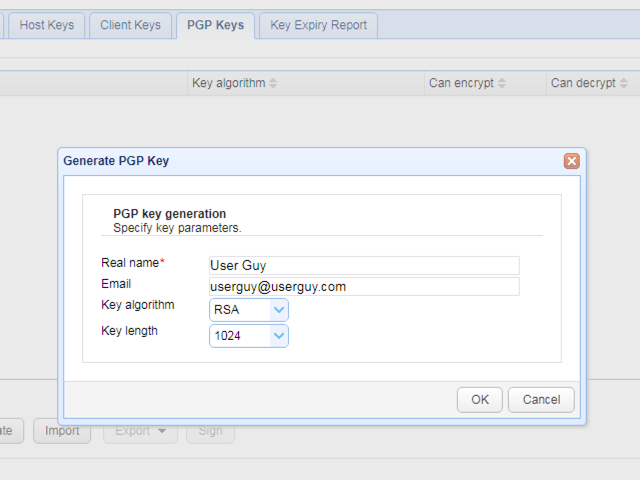 Whenever PGP files uploaded to your server happen to contain data needed for business processes, you might want to have those files decrypted automatically. That way, they can then be forwarded to the applications waiting to process them. JSCAPE MFT Server has an easy way of doing that and it's what we're going to show you today.